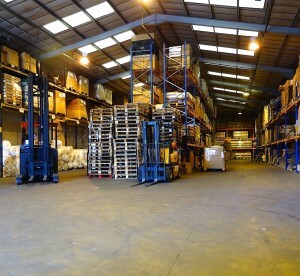 Looking for Pallet Storage in Coventry? Defenda Transport & Logistics can provide a wide range of warehouse storage & distribution options for pallets or other goods at our Coventry warehouses. Simple storage is available but can also be combined with distribution or product drop shipping services for added convenience. Pallet & loose load product storage & their delivery by various methods is saving our clients considerable sums & helping them streamline their pallet distribution throughout the UK and Internationally. Call us to discuss any aspect of our comprehensive delivery and distribution services. Our secure CCTV protected good quality Coventry based pallet storage & warehousing facilities can help streamline your logistics needs — call us and talk to a member of friendly team to discuss your particular requirements. Bulk pallet storage prices start at just £2.50 per week with handling on and off vehicles at £1.75 off and £1.75 on. Call us for more information. (The above pricing guide is based on small quanitities of standard UK pallets of 1200mm x 1000mm footprints with a height of 1000mm). Non-palletised goods & pallets exceeding 1 metre in height can be quoted on an individual basis. Order picking, packing and the ultimate shipping prices will be dependent on the type, size and weight of the items being shipped..